No matter how careful you are with your jewelry, with time it will develop a layer of grime that will take away its shiny sparkle. You have the option of taking the cable jewelry to a professional cleaner, but this tends to be expensive and takes time. The other option is to make a homemade jewelry cleaner and clean your gemstones at home. All the ingredients required to make a DIY jewelry cleaner are readily available in your pantry or a store near you. They are also very safe to use, unlike professional cleaning chemicals that are environmentally unfriendly. But before we look at how you can clean your jewelry at home, let’s look at why they tarnish. Metallic abrasion: the cosmetic you wear contains chemicals that are stronger than the jewelry. When the make-up on your skin comes in contact with the jewelry, it causes metallic abrasion. The hard compounds rub tiny particles from your jewelry giving it a jet black dust look. Corrosion: when exposed to moist or wet conditions, the metal making your jewelry will corrode. Usually, pure gold jewelry doesn’t corrode, but the stone is too soft and cannot be used to make jewelry. It is alloyed with other metals such as silver or copper, both of which corrode leaving the gold untouched. Sterling silver tarnishing: this copper-silver alloy is softer than gold alloys and hence tarnishes faster than the latter when it comes in contact with the skin or clothing. The tarnish is even faster if the jewelry is exposed to sulfur compounds. 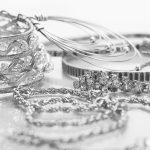 Is It Possible to Prevent Jewelry from Tarnishing? Cleaning your jewels each at a time restores their sparkly and shiny look, but the process is exhausting and time-consuming. Protecting them from tarnishing is easier, but how do you do it? Avoid contact with moisture– contact with any form of wetness is the fastest way that jewelry tarnishes. That includes contact with the lotion and perfumes that you wear. If you accidentally expose your jewelry to moisture, ensure you wipe them dry immediately. Store in airtight plastic bags– when left exposed, jewels react with airborne chemicals resulting in tarnishing. Prevent this by storing is a properly sealed plastic bag. Cover with a silver tarnish cloth– the cloth is sold in yards and you can buy the length to cover all your jewelry. Then cut it into pieces to ensure it fits in your jewelry boxes. Spray with tarnish protectant– the spray gives your jewelry a shield against harmful elements that result in tarnishing. Also, it is effective in preventing allergies such as hives, irritation, and rashes that are caused by wearing jewelry. 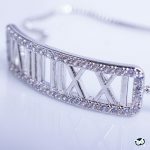 No-tarnish strip– always ensure your jewelry is placed on these strips. Remember to change the strip after every two or three months. Chalk– if you can substitute the no-tarnish strips with chalkboard chalk. It is effective in absorbing airborne chemicals that cause tarnish. Remember to change the chalk after every few months. Always wipe after use– always ensure you give your jewelry a quick wipe down after use. This removes any material that may have settled on your jewelry and cause tarnishing. Depending on the material of your cable jewelry, there are several effective ways to clean them at home. Make your jewelry last! As your silver jewelry gets exposed to air, it reacts with the sulfur present in the air resulting in tarnishing. Here is a simple and inexpensive silver jewelry cleaner that uses ingredients in your pantry. Besides its antifungal and antibacterial benefits, tea tree oil is also an excellent alternative for chemical-loaded jewelry cleaners available today. It has a strong odor, but it’s better than the harsh chemicals found in cleaning solutions. Semi-precious stones jewelry can easily get damaged by the harmful chemicals present in the commercial jewelry cleaning agents. Make sure you use dish wash soap that has grease cleaning properties. Avoid those soaps with antibacterial properties as they can strip the finish coating your jewelry. Maintaining your cable jewelry looking new doesn’t have to be hard or expensive. 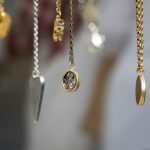 These three homemade jewelry cleaning recipes are inexpensive and easy to make. All you need to do is dedicate a few minutes of your time, ingredients in your pantry and a little effort to give your pieces a sparkling look. If you want to restock your jewelry box, check out our collection.